For pricing and more information on this title, call us at 1-877-394-8826. Discounts may be available to customers that subscribe to both online research and print products. Complete and up-to-date coverage of the UCC with 50-state amendments and case law. 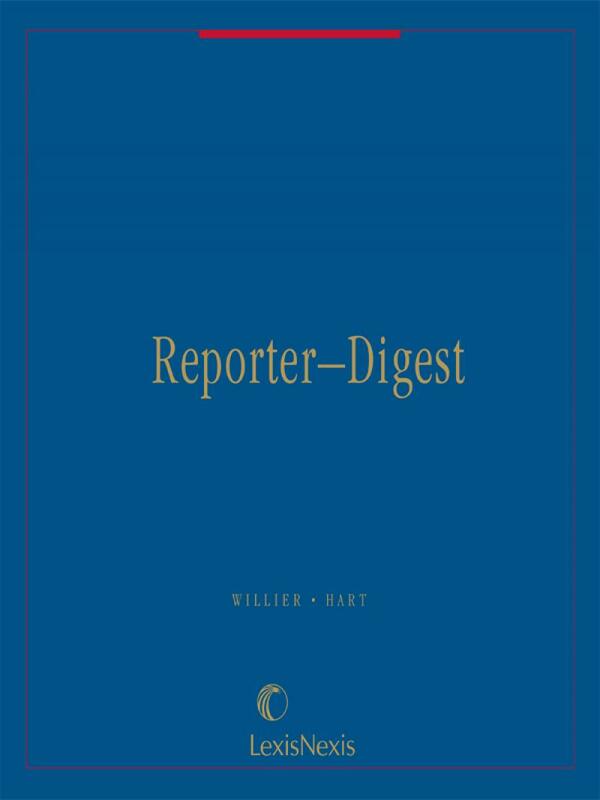 • Concise case digests arranged by UCC Code section. • Jurisdictional and keyword searching capabilities of all case digests. • Complete text of the UCC, including all amendments and revisions. • Updated State Variations for all Articles of the UCC. • First published in 1965. 24 Volumes; Looseleaf; updated quarterly. Frederick M. Hart is a professor at the University of New Mexico School of Law. 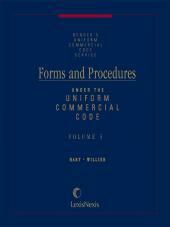 Professor Hart is the author of the 8-volume Forms and Procedures under the UniformCommercial Code, as well as the 24-volume U.C.C. 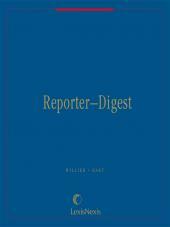 Reporter-Digest, both from Matthew Bender. He is past president of the Law School Admission Council, and has served in a variety of capacities for the Association of American Law Schools and the American Bar Association's Section on Legal Education andAdmission to the Bar. Professor Hart is a member of the bars of New York, the District of Columbia and New Mexico. He is agraduate of Georgetown University Law Center, and received his LLM from NewYork University. Professor Hart received a Peter Canisius Fellowship to the University ofFrankfurt, and is a four-time winner of the New Mexico State Bar Association's Outstanding Achievement Award.